Beth Côté has been working in public libraries since 2010. She has worked as a branch librarian as well as on the front lines at the central branch in downtown Saskatoon. 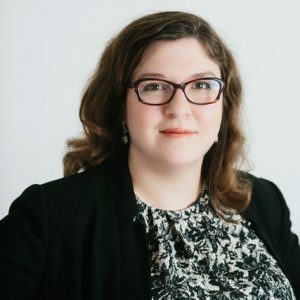 As the Director, Pubic Services at the Saskatoon Public Library, Beth has been working closely with the entire leadership team to develop a service model that is informed by the needs of the Saskatoon community. The Saskatoon Public Library has recently undergone a significant organizational change that includes the addition of a work unit that includes social workers and focuses on providing service to people who face marginalization and barriers to library service.